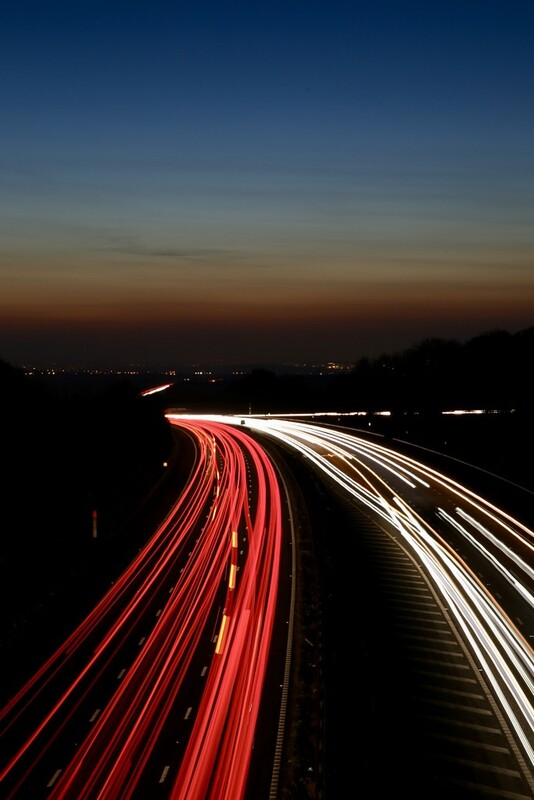 Beautiful capture of the traffic with the long exposure. Yes, I agree - wonderful long exposure! I like the contrasting red and white - so that is taillights and headlights? @phil_sandford Oh yes - I hadn't really noticed the orange. Need another cup of coffee! Regardless - I really like this image. @365karly1 Forgot to say .... this really should be seen on black! A stunning image Phil, could you please tell an ignorant, would like to be photographer what "bulb" photography is? the orange looks like a tracer! Nice sky and light trails! A very clever shot. I love it. Fabulous capture, must try this!